2011 has been an amazing year in the digital realm. From the major Google Panda update somewhere in February 2011, to the design overhauls with major social networking sites such as Facebook, Twitter, YouTube and even StumbleUpon, the introduction of Google+, the beta launch of Kred and the list goes on. What excites me most is that more and more businesses are seen to be adopting and experimenting on social media, leading towards exciting times for both marketers and consumers alike in 2012 – a concrete indication that social networking is indeed changing the way we communicate, do business and definitely not a trend. What does this mean: With larger corporations leading the way in 2011, the SMEs in Malaysia have tangibly seen the implementation and results of different online marketing campaigns and may emulate the success. On top of that, the nature of businesses in the services sector (especially B2C) can greatly reap the potential of social media networks. If you’re a small business owner, here’s a bonus article on why your business benefits best on social media. Why: Malaysians spent MYR 1.8 billion on online purchases back in 2010 . In 2011, there was a rise of e-commerce enabled websites (putting behind the usual blog layouts), electronic marketplaces (e.g. Mudah.my, AsiaAsiaMegastore.com), digital services (in government and private sectors alike), group buying sites such as Groupon and the recent opening of PayPal’s Global Operation Centre in Malaysia. To top it off, these businesses have been promoting their sites across social networking platforms using various methods with 94% of Malaysian online consumers using social networks as a guide to shopping (source: Nielsen Company). What does this mean: Businesses in Malaysia are beginning to recognize the importance of using electronic mediums while consumers are experiencing the convenience of online purchasing. Having that said, consumers may grow and continuously seek social proof or recognition from their peers and businesses when making a purchasing decision. Why: Existing local business pages on Facebook have been using similar strategies in building their presence using various promotional campaigns such as sweepstakes or contests in which will continue to grow. Having said that, competition will increase having to attract the consumers’ attention which may lead to the need for more innovative or integrated social marketing campaigns to break out from the norm. Local businesses such as the above video are already innovating to be different from their competitors. What does this mean: As business competition increases across platforms, the demand and expectations among consumers also increases. This demand may act as a requirement benchmark in which businesses have to keep up (or surpass) with, whether it is the level of engagement, method of engagement or even the tools of engagement. 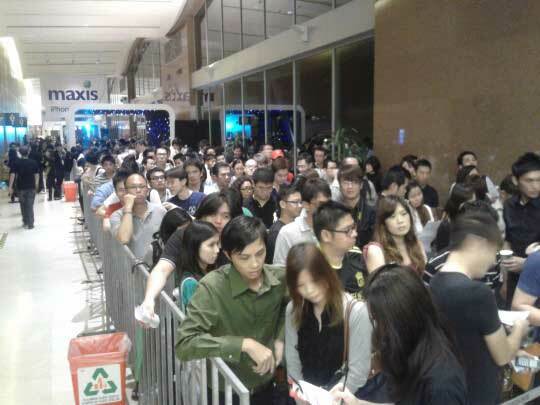 Why: The growth of smart phone users in Malaysia is scary. A recent report by Nielsen’s online consumer survey in Malaysia revealed that the number of smart phone users are expected to rise from 48% to 89% within a year. What’s even more interesting is that 83% of existing smart phone users are using free apps while 37% are on paid versions. What does this mean: This suggests that the penetration rate of smart phone users are not as low we thought it has been and people with such devices ARE using mobile apps. We may be able to see a rise in the adoption of mobile driven / optimized websites, apps, mobile games or a wider use of quick response (QR) codes. The local dried barbecue meat industry in Malaysia has always been competitive especially when the Lunar New Year is around the corner as it is commonly made as gifts during the festive season. The delicacy producers, however, have been relying on traditional promotional methods over and over again – television commercials, radio commercials, print ads, in-store promotions, roadshows to popular shopping malls, giving out free samples and etc until recent. Wing Heong, one of the producers of this delicacy decided to make a change. A change in which was told (after the campaign) that yielded unexpected results and a visible increase in sales – all through a single interactive video (as below) shared primarily on Facebook. My first reaction was: “Whoa! This is REALLY smart!” and I instantaneously shared it. The thing is, I wasn’t the only one. Wing Heong took time to understand their audience. They knew they needed to be different from their competitors who were also using digital animation to reach out to the consumers. 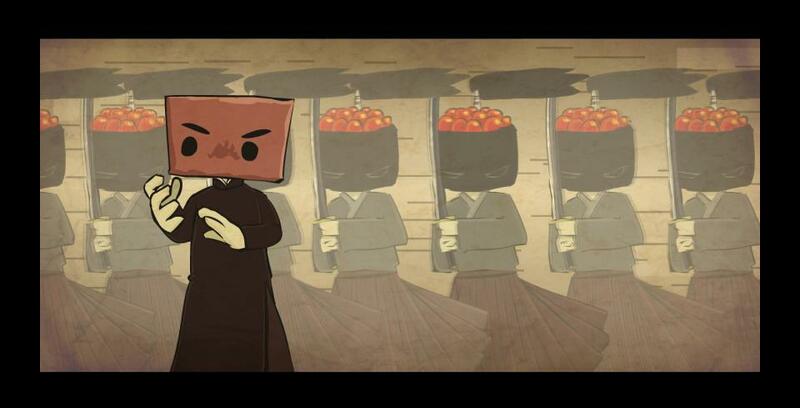 They created an animated character that was closely representing kungfu legend Yip Man that was made popular in a recent Hong Kong made movie, a movie the local Chinese were able to identify to easily. On top of that, the fictional storyline is closely knitted to Malaysia and the introduction of another popular local delicacy, the Seremban Siew Pau (baked dumpling) to draw a greater relation with the Malaysian-Chinese target audience. Marketers understand the importance of creating memorability with their consumers. Visuals and content are both important and great but what makes a campaign memorable? With a young and engaging story line in place, the creators of the Wing Heong campaign allowed their target audience to actively interact with the characters itself by punching in commands to assist ‘Yok Man’ in defeating his enemies. This interactive video garnered 565,792 views to date, shared over 131,000 times and “Liked” over 243,000 times on Facebook. If an average Facebook user has 130 friends, the video and the name ‘Wing Heong’ has potentially reached more than 17 million impressions on the most popular social network in Malaysia. Sure, anyone can create an interactive video and it may garner even more views but what made Wing Heong’s campaign standout wasn’t just the video but the ingredients and groundwork behind it that made it work. The combination of the above made the character ‘Yok Man’ into an immediate icon simply because the consumers are now able to identify a kungfu legend and an engaging story line to the brand. 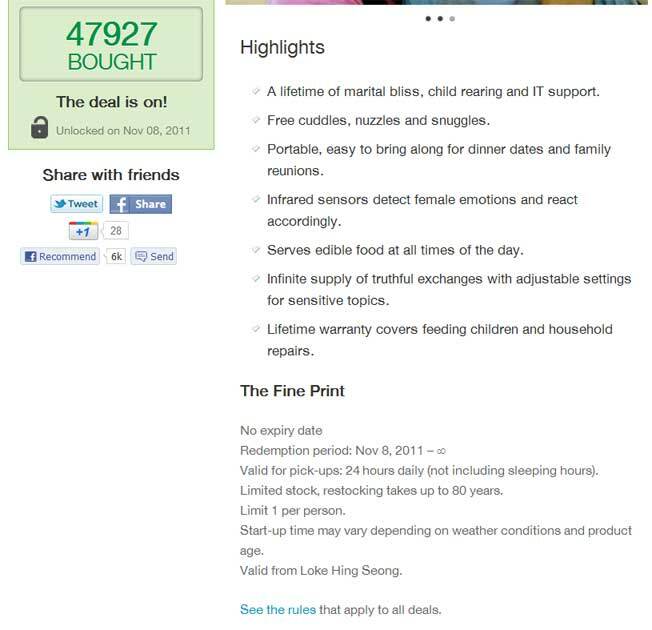 Okay, this isn’t exactly a brand but it won my vote for being innovative – this guy proposed to his girlfriend using Groupon. How did it work? He ‘sold’ himself by publishing his deal on Groupon Malaysia, knowing that his girlfriend checks Groupon on a daily basis. The deal garnered almost 48,000 ‘buys’ which indicated the support he received for the proposal. The girl said “Yes”. How many marketers out there actually sit down to really understand their target audience? I ask this because it is tough. Many businesses out there want to expand too soon, without thoroughly understanding their existing audience and it goes beyond just demographics. What are their behavioral patterns online? What are their interest? The closer you get the better it gets, just like how the guy knew the girlfriend checks out Groupon every morning without fail. Client: I want a Facebook campaign. Marketer: Sure! Let’s do one. I must admit I fall into that once in a while too, simply because it is the easy way out. However the real question to ask is: Will _________ be THE effective tool? Could there be a better tool out there that your target audience is using? Many pick Facebook / Twitter simply because it has a huge user base. But let’s face it – how many will actually participate in your marketing campaign? Think of other tools that can make your campaign fun and memorable outside of the usual Facebook. Mark Hughes in his book Buzz Marketing says that there are 6 buttons to get people talking (buzz): the taboo, the unusual, the outrageous, the hilarious, the remark-able and the secrets. In the case of the Grouposal, it is the unusual – and it generated more than 6,000 shares on Facebook alone. How’s that for a proposal? Give your campaign an angle that people can talk about. Sometimes you do not need to create your own successful marketing campaigns – you can hitch a ride on the hype. 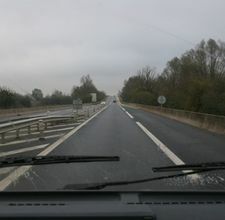 Traditionally, marketers rely on festive seasons such as Christmas, New Year’s, Halloween and etc to market themselves. What about weddings, birthdays, anniversaries or proposals such as the above? This hair salon saw the opportunity to promote themselves using this proposal that was stirring much buzz. What do you think of this Grouposal? Is there anything else that can make a better campaign? 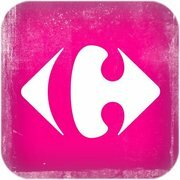 In conjunction with one of Malaysia’s largest festive celebration the Hari Raya, Carrefour Malaysia launched an interesting marketing campaign using a combination of a free downloadable mobile app from the Apple AppStore and Facebook. 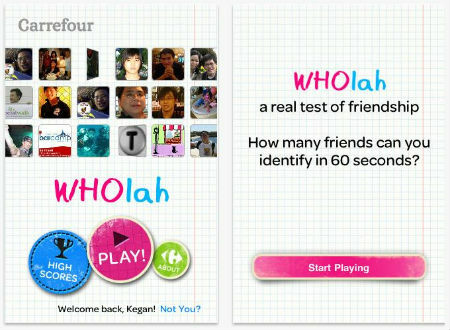 The app ‘Wholah’ requires the player to identify as many Facebook friends within 60 seconds to win different prizes including a can of Coke on their first play or subsequently a packet of Twisties or Oreos, all redeemable from any Carrefour outlet with no strings attached. To increase gameplay, the app also gave out in-game badges on different occasions. If that isn’t enough, the campaign built towards a Tweetup, bringing the consumers together for a festive celebration together with the brand Carrefour. Everyone can run a contest on social media platforms such as Facebook but not many can integrate a content into their marketing objective / brand message. The Wholah campaign took advantage of a festive season – also a season where shoppers flood hypermarkets to stock up for the festivity. A simple prize redemption method such as the requirement for players to come by and collect may in turn generate sales as consumers may just end up shopping at Carrefour since they’re already there. Hari Raya celebrates the conclusion of the fasting month for Muslims and it is often celebrated with your family members. It is a time where children seek forgiveness from their parents and to celebrate as a family with great food. Using this fundamental concept, Carrefour became human by organizing a Raya Tweetup as a follow-up to the campaign, bringing the spirit of togetherness as the nation celebrates this joyous season. One of the main challenges businesses face when running marketing campaigns using social media is the ability to measure its effectiveness and conversion rates. Sure, there are tools out there to do the math but most of them comes back with an estimated figure. By having your social media marketing campaign tied to a offline business operation (such as the redemption of prizes), it will allow your business to determine the effectiveness of the campaign from the redemption rate – leading to other more accurate estimations on the increase of sales figures during the promotional period. What do you think of the Wholah campaign? In what areas Carrefour Malaysia have succeeded / failed? Brand Focus #8: How to Manage A Groupon Campaign For A Small Business? 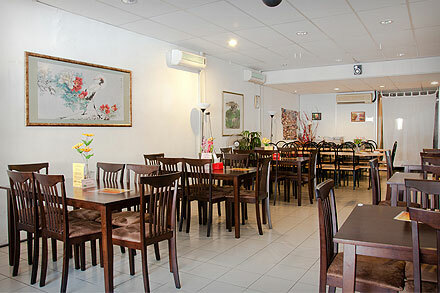 Just a week ago I popped by a small restaurant just slightly away from town for dinner and managed to have a chat with a small restaurant owner. Somehow the conversation landed on the topic of Groupon – he loves it. Recalling from my past conversations with other business owners on Groupon in Malaysia, I instantly wanted to know more about this liking of his towards Groupon. What is it that made his Groupon campaign successful? Why is it that he is able to make Groupon work while others find it difficult to handle? The restaurant owner insists that the proportion of the meals served during the campaigns have to be the exact proportion of how it is off-promotion, if not better. Customers can tell the difference – especially those that frequent you. Business owners should not opt for a cheaper alternative just because of a lower profit margin. If your restaurant operate 8 hours a day with a total of 40 seats and if each customer takes an average of 30 minutes per meal, you’re likely able to handle no more than 640 customers per day. And that’s if you operate back-t0-back without rest. This figure will let you know whether you’re able to take in X amount of reservations daily. This restaurant owner drew up a reservation chart to make sure he does not overdo it. By doing so, he will be able to operate at full capacity, yet maintain the quality and service efficiency. The simplest method suggested is to give out vouchers for their next visit. Have them printed with unique codes / colors so you can track which campaign your customers are coming back from. Have you purchased a deal on Groupon or similar sites? What is your experience with the businesses running the campaigns? This is a guest post by Adam Pedley (@Adam_Pedley) is the founder of Binkd home of the Binkd Promotion Platform. Adam is also a great buddy and one with great insights on promotions. Enjoy! As a business owner you want to increase your following and engage with your customers. A perfect way to do this is to run a contest. Give a way a prize, get people spreading the word of your business, every one wins right? Unfortunately this isn’t always the case. Here are 7 points you need to consider before running a contest to help avoid consumer backlash. If you have a voting contest, there are sites / Facebook pages out there that let you post your entry link and get heaps of votes from random strangers. Then you also go and vote on all the other entry links on these pages. A reciprocal exchange of votes from random strangers. People get REALLY angry about this and this actually tends to be worse when you are in a predominately women focussed business (e.g. homewares or fashion). You can either avoid voting contests, put in place strict rules forbidding people to post on these pages and if they are found to have done so, they can be removed from the contest, or do a vote for a chance to win. Vote for a chance to win is a slight variation on a plain voting contest. Each vote they get is a chance to win, but not a guarantee, hence it limits the effectiveness of gaining votes from random strangers. This type of contest is available on the Binkd Promotion Platform. If you give away a cheap or not applicable prize to your audience not only will you lose credibility, you will anger your customers for wasting their time reading your contest or making them feel devalued and not worthy of your time. A highly targeted and valuable prize will gain you more entrants and greater trust with your followers. They are also more likely to keep coming back. There is always the potential for things to go wrong in your contest. Maybe you made an error in the terms or setup the contest incorrectly. These errors normally surface in the first few hours hence it is best to launch a contest early in your working day. This gives you the ability to monitor your contest and correct any errors during the day, rather than waking up in the morning to discover a PR nightmare. Apart from being illegal in some countries, changing the rules of the contest after it has started never goes down well with entrants. If you think you may need something in the terms, write it in now and don’t add it in later. Your terms should be well crafted and looked over by a lawyer to ensure it is valid in the countries you are running the contest. While something may be funny to one person, it generally isn’t to others. To avoid negative feedback and have the best chance of people spreading the word, stick to widely accepted and wanted prizes in your niche. If you run a contest with “I will donate $X to a charity or the latest global disaster, if I reach a thousands entrants” or something similar, you will get entrants who buy into this but you will also receive a fair bit of backlash. Generally people will say, why don’t you just donate the money now, people are dying over there you (insert expletive). 7. Make Clear Any Out Of The Ordinary Terms. A lot of people don’t read the terms of the contest and then have a go at you when they realize it wasn’t what they expected. If you have any terms that are slightly out of the ordinary, make sure you put them in a place where people will read them as well as the in the terms and conditions. The more upfront you are about them, the less likely anyone will question you later after they have entered. What is the Best #SocialMedia Tool for a Marketing Campaign? It is interesting to see how business owners or marketing people jump straight into Facebook when talking about using social media tools for a marketing campaign. 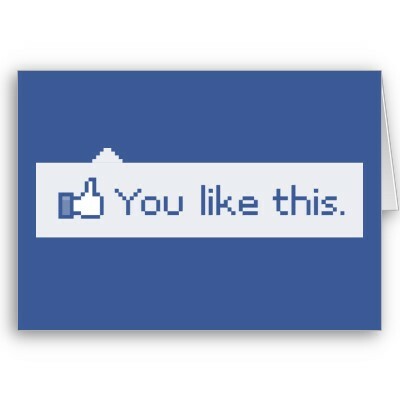 Do Facebook fit into every marketing campaign there is? What is the best social media tool for a marketing campaign? Similarly, you don’t saw with a pair of pliers. There is a tool out there for your marketing objectives and not every tool is the answer. Get this – even experienced social media experts fall into the trap of using too many tools just because they all seem to fit. Put your marketing objectives first and focus on what is it that you want to accomplish with it THEN select your tools. You don’t drill a hole in your wall only to find that it is too big or small to be used. 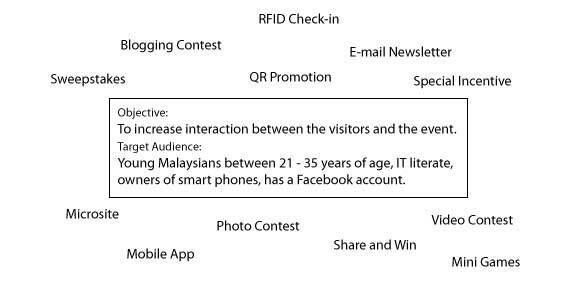 In this example, you may want to consider having a Facebook page, host a simple contest to get fans to share about the event, encourage fans to post photos from the event to win something, place QR codes at the event to uncover a mystery gift or use Foursquare to reward visitors at your event. As for ideas on how to improve your event further, you’ve got the ‘Maybe Next Time’ column to help you out. From the very same example you’ll also find that although your target audience are on Facebook, it should not be your only answer when it comes to social media marketing. At times you’ll be required to include other tools to complement your marketing campaigns such as a microsite (it can be a blog), a QR campaign for on-ground interactivity, a Foursquare special to reward loyalty or a mobile app containing an event directory and itinerary and more! The larger your objectives are, the larger the campaign will be, and the more tools you’ll (likely) have to use but it all begins with setting the objectives right and keeping with it. 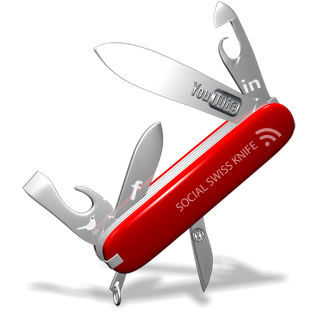 Get yourself a social media Swiss knife. I use the above method almost all the time. What about you? 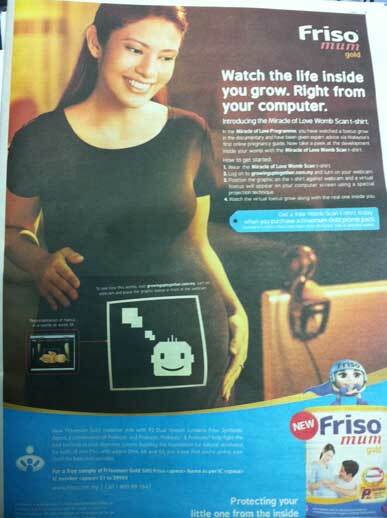 It was a full color, full page advertisement by Friso Malaysia to promote a new baby product. What caught my attention was the “Womb Scan T-Shirt” that they are giving away with every purchase of their new product. Notice anything yet? The t-shirt has an augmented reality (AR) code printed on it. As the usage of AR is very low in Malaysia, I was curious to find out how are they putting it to work especially by integrating social media and having that said, I decided to give the ad a try by visiting the printed website. I wasn’t surprised to face a registration form as most businesses do the same anyway which is a smart thing to do to build your database. However, having every single field marked as ‘required’ is a pain. On top of that, they had fields that does not relate to me but I had to fill in anyway e.g. child’s details, full address and even my identification card number. The outcome? I filled in false information simply because: 1) I don’t have a child and 2) Why does your business want my identification card number? What can you do: If you’re preparing a form, make sure you cater to the different needs of your potential visitors. Identify what is most important to your business – would just having the name, email address, gender and DOB suffice? Remember, you do not want to put your visitors off by having an extensive form. You can always request for further details later. Although it sounds like common sense to have your campaign blasted in as many areas as possible, it is interesting to see big brands such as Friso missing the mark. A simple visit to their official Facebook page revealed that they have made little mention to the AR campaign which made me wonder – were they relying only on press ads? How are they getting people to participate? How else are they integrating social media into this campaign? What can you do: Have as many engagement points as possible. Putting all your eggs into one basket will not only limit your campaign’s potential and reach, but also suggests wastage of resources simply because it could’ve been better. One thing cool about Friso is that they have a rather active customer base on Facebook where there are decent amount of interactions taking place. This also brings me to..
Friso Malaysia owns a Facebook page with more than 30,000 fans and your business may already have an engaging network of consumers which is great. Why not use them to be advocates for your marketing campaigns? If they are already actively interacting with you, there is a good chance that they’ll be more than happy to get the word out for you. Get your network involved! Find ways to get them excited and to share their experience with you. This will not only get the word out, it gets your customers involved and allows new customers to understand you better. What can you do: Get existing customers to share their experience with the campaign. 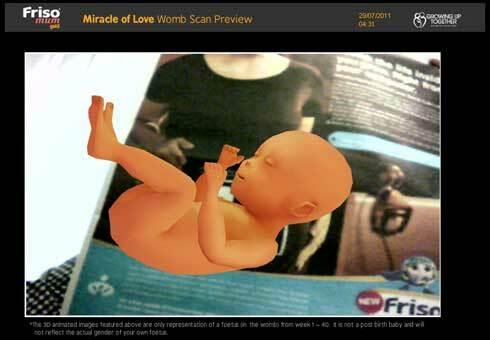 It can be as simple as allowing them to share their stories in a forum, post a picture of them interacting with the augmented reality projection or even to produce a short video clip on how they are feeling in their pregnancy. Bonus Mistake: Selling too Soon! I’m not against selling. After all, you’ve spent X amount of $$ to get the campaign up, you need some sort of returns, right? However, depending on what platform your campaign is hosted on, you may want to consider holding your horses when it comes to selling – especially if you’re using a new platform such as AR in Malaysia. I was presented with the sales message when I was trying hard to get the below image projection to work and I was given no means to close it apart from refreshing the page. Are they selling too soon? What can you do: Identify when is the best time to sell. If you’ve already got a subscription / membership system up, perhaps sending a follow-up email after would be a better idea, AFTER they’ve tried out what you have to offer. Creating a positive experience is always better than pushing a sale. You may have heard of many stories on how powerful social media platforms are to drive causes such as the Pepsi Refresh Project that rewards individuals with refreshing ideas or the Fair Tweets campaign by Ben & Jerry’s. What do they all have in common? 1. A great cause 2. An innovative idea and 3. Huge participation that led to success. While there isn’t a success formula that you can reproduce, the one thing that stands among all successful marketing campaigns or causes is that there is something for others to talk about – a common passion, a common interest, a common curiosity or even a common anger like the recent lashings against designer brand Versace. Having that said, it is not the level of innovation that draws people together (although it contributes to its success) but the level of the common ground established. A community is a powerful ‘being’, be it offline or online and today’s social media networks makes it so easy for one to start their own community. It is no wonder why businesses jump unto the bandwagon almost immediately as they recognize the need and the power of having their very own community. It was all over the news – Malaysia, the country I live in became famous over the weekend as it was broadcasted globally due to a recent event named Bersih (clean) which involved a peaceful rally in the heart of Kuala Lumpur demanding for a fair and clean upcoming election. You may have only heard about it and perhaps are aware of what happened during the rally but what caught my interest most was how the entire cause was promoted heavily over social media networks such as Facebook and Twitter weeks before. You’ll realize that the cause not only drew close to 160,000 fans but people also spread the cause willingly because it was something they can relate and resonate with, to the extend that they opted to place a badge on their display pictures (as seen in the screen shot above) to indicate their support. What happened on Twitter? 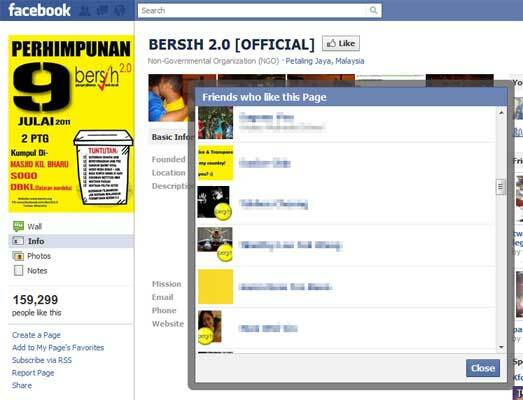 Well, you can simply search the hashtag #bersih to find out for yourself. All I can say is that the tweets flew by so quickly that I can’t even read them (and I thought I was well trained on #blogchat). On top of that, Malaysians in other countries such as Taiwan, Melbourne and Singapore also ‘participated’ in the rally by gathering where they’re at to show their support. The medium of communication? Social media. Live updates on Facebook, Twitter and even recorded videos on YouTube. From a business viewpoint, that is definitely a success story as word-of-mouth has taken its course and in this case, internationally. What is it in your cause that causes others to resonate? This is the question you should be asking yourself whatever your cause is, profit or not. What makes others passionate about the cause? What is it that causes others to feel the same? Could it be empathy? Could it be anger? Could it be pride? Could it be fun? Have that answered, then all that’s left is to identify the right communication medium to spread the word. 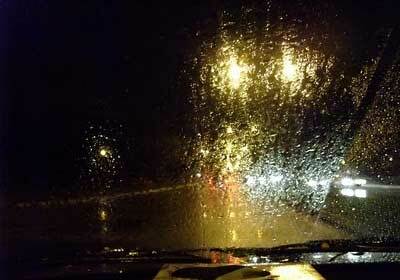 Is there a specific cause that strikes you the most? What is it that draws you to it?